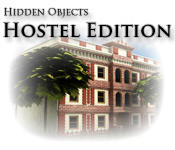 Delve into the cluttered chaos of a homely little hostel in this eye-bending, hidden-object extravaganza! Ferret out all the hidden objects, but be careful with your clicks! Willikers! Three misses and you're back out on the streets, just surviving - living by your wits. It's you versus the world!